Following forecasts for an above-normal hurricane season in the Atlantic Ocean, scientists from the University of California, Santa Cruz, and The Nature Conservancy published a study that proposes prioritizing property buyouts based on flood risk, ecological value, and socioeconomic conditions. The study can be downloaded HERE from the Journal of Ocean and Coastal Economics (JOCE). Flooding is the most common and damaging of all natural disasters in the United States. According to the Federal Emergency Management Agency (FEMA), 44 of the 46 major disaster declarations in 2016 were related to storms, with flooding being a significant factor in almost 70% of them (30 events) (2). In 2016, severe floods in the U.S resulted in more than $17 billion in damages (six times higher than in 2015). Twelve individual weather and climate events caused more than $1 billion in damages each (3), and at least five severe 1000-yr precipitation events occurred in the U.S. in 2016 (4). 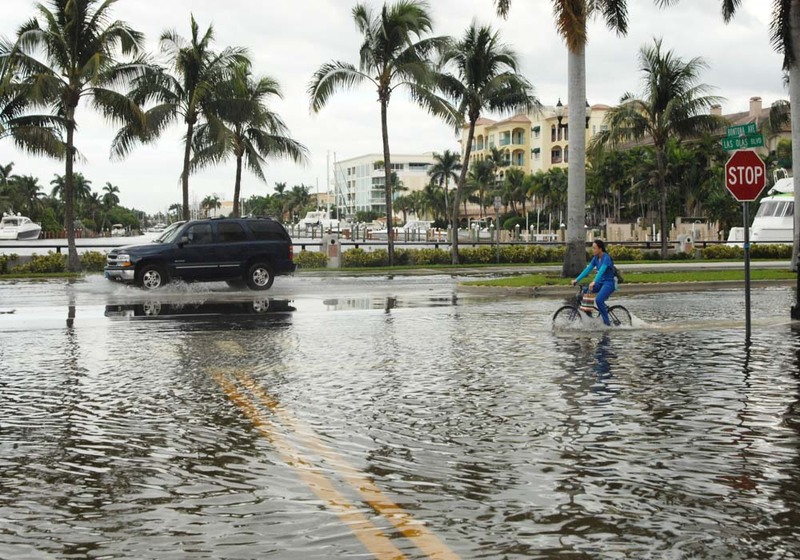 The study also shows the location of more than 15,000 repetitive loss properties in Florida, which, collectively, filed more than 40,000 claims against the National Flood Insurance Program (NFIP), between 1978 and 2011 – more than 1,200 claims per year, on average. As of March of 2016, the National Flood Insurance Program, which is up for reauthorization in 2017, owed the U.S. Treasury $23 Billion. Repetitive loss properties with high social vulnerability and high ecological value.